In anticipation of his upcoming conference presentation, Challenges in Leveraging Predictive Analytics for Big Data in Oil and Gas, at Predictive Analytics World Boston, Sept 27-Oct 1, 2015, we asked Dr. Satyam Priyadarshy, Chief Data Scientist at Halliburton, a few questions about his work in predictive analytics. A: In the upstream oil and gas industry, there is need for predictive analytics at various phases of oil well lifecycle. Predictive analytics plays a critical role in detecting events that could lead to increased cost of operations. Predictive analytics is also important to predict Black Swan events as well. A: Upstream oil and gas is also referred as exploration and production (E&P) industry and focuses on health and safety across its operations. Predictive analytics plays a significant role in keeping this safety indicator score high for the organization and provides insights for intelligence based risk management. A: The operational cost depends on the drilling efficiency. Drilling efficiency depends on rate of penetration (ROP). ROP is defined as advancement per unit time while the drill bit is on bottom and drilling. ROP is considered one of the most critical performance qualifiers. ROP depends on many factors like the weight on bit, the rotating speed, the lithology, the formation drillability, etc. Predictive models that include these factors help provide lift in ROP which can also help improve significantly return on investment for drilling operations. A: In the E&P domain there are two important metrics – Non-productive time (NPT) and Invisible Loss Time (ILT). NPT occurs throughout the different phases of drilling, production and reservoir management. Predictive modeling helped us in determining the root causes of NPT and ILT. A: Predictive analytics is used in many industries successfully with much ease. However, the oil and gas industry has one of the most complex operations of any industry. Many challenges and opportunities exist in this industry that can benefit from predictive and cognitive analytics on E&P big data. 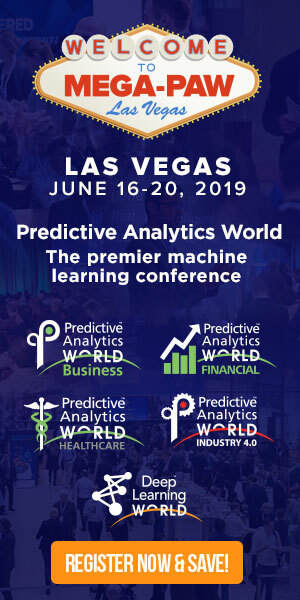 Don’t miss Dr. Priyadarshy’s conference presentation, Challenges in Leveraging Predictive Analytics for Big Data in Oil and Gas on Monday, September 28, 2015 at 2:40 to 3:25 pm at Predictive Analytics World Boston. Click here to register to attend.